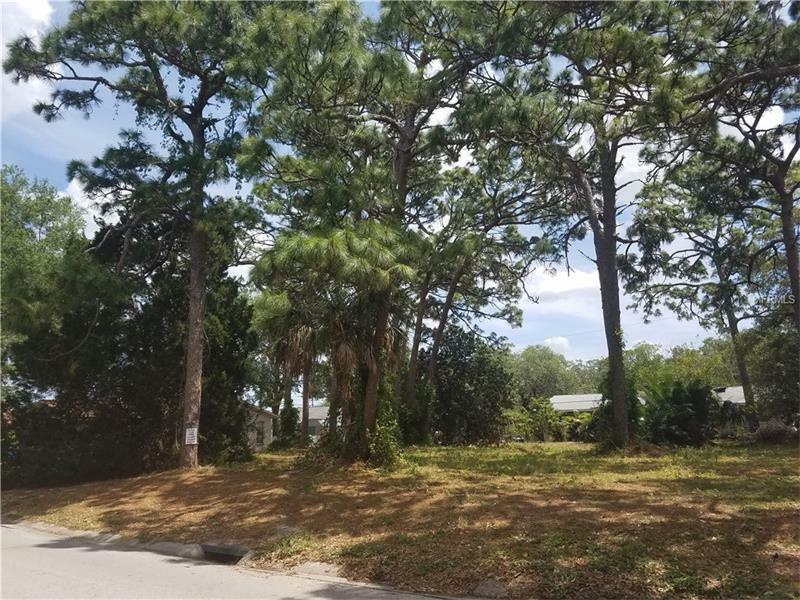 This is a nice lot of land in a family oriented neighborhood of St Petersburg. This 60 x 100 foot lot has beautiful trees and is just waiting for the perfect home to be built here! Located near public transportation, lots of shopping, good restaurants and much more. Priced to sell quickly, don't pass up a great opportunity! See this lot today! Close proximity to shopping, restaurants, parks, area beaches, Downtown St. Pete, Pinellas Trail and more! MAKE A DOUBLE LOT WITH MORE THAN 1/4th AN ACRE BY PURCHASING THE LOT TO THE SIDE OF THE SUBJECT PROPERTY!! LOT CAN BE PURCHASE WITH MLS #T7877172 - THE LOT LOCATED TO THE OTHER SIDE OF THE SUBJECT! !